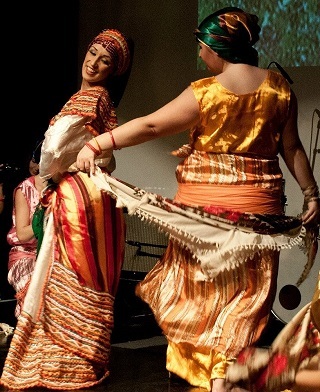 In 2013, the Algerian community in the UK remains largely absent in the showcase of international folklore. Although fast-growing and increasingly prosperous, the Algerian diaspora in the UK is still haunted by long-lasting echoes in the media of the tragic civil war of the 1990s. And the resulting stereotypes remain unchallenged. Algerian cultural events are rarely seen across the UK, and initiatives to connect and allow for expression and exchange are few and far between. In this context, a new show created by the London Algerian Ballet is seeking to change that, and to share Algerian culture with a wider audience than ever before. A Journey to Algeria premiering this Friday, November 8th at The Tabernacle in London, takes place as part of Nour Festival of Arts, and sees the work of this popular dance troupe taken to the next level. Dances from around Algeria will be set within a historical and cultural narrative, with an array of live Algerian music, a traditional Algerian dinner and many surprises to come. The show presents a wide variety of dances and music from different eras and regions of Algeria, ranging from the mystical, exuberantly ornamented Ouled Nail, to the masculine war dances of the Touareg, to the upbeat, celebratory Kabyle, and the exceedingly popular modern style known as Raï. The diversity in dance styles, costuming and music that is to be found in Algeria is staggering, and it is this kaleidoscope of cultural stories that the London Algerian Ballet is keen to share. 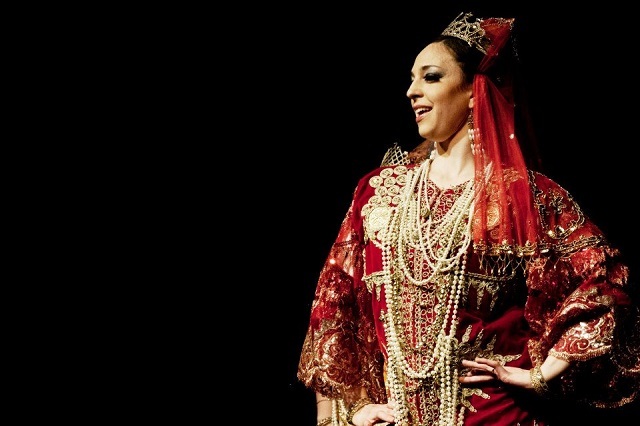 A community-based project, the London Algerian Ballet aims to present the rich cultural heritage of Algeria to British audiences, and thus help create long-term bridges and spread the benefits of cultural initiatives between Algeria and the UK. It was during summer 2012, for an Algerian Cultural Festival that marked the 50th anniversary of Algerian independence that Farah Nasri and Toufik Douib had the initiative to create the London Algerian Ballet. These two young Londoners of Algerian origin teamed up for the first time to develop, in only two months, what became the first representation of traditional Algerian dances in the UK. Committed to developing cross-cultural understanding, Nasri and Douib welcomed dancers from a variety of backgrounds and ethnicities, and helped instil in them a deep appreciation for the cultural heritage of a country that many of them knew little about before joining the group. Just over one year on and this core group has expanded further, with dancers from such diverse origins as France, Japan, Russia, Spain, Brazil, Venezuela, and, of course, Algeria and the UK. Spurred on by the enormous success of their first show and the unanimously positive feedback they received from both Algerians and non-Algerians alike, the London Algerian Ballet went on to perform in a number of events ranging from theatre shows presenting Arab culture to charity fundraisers. Their new 3-hour show is a development of all that has come before, with new dances added and a more comprehensive representation of Algerian culture proposed. With music, food, dance and stunning costumes, the show is set to be an extravaganza for the senses. A Journey to Algeria will take place this Friday 8th November at The Tabernacle in London, as part of Nour Festival of Arts. Tickets are available at ajourneytoalgeria.eventbrite.co.uk and at www.algeriandanceshow.com. Toufik Douib was born and raised in Algeria, moving to London in 2008. He has always been committed to intercultural understanding, and since coming to the UK he has been keen to share the culture of his home country. He founded the London Algerian Ballet in 2012 with Farah Nasri, and is currently the Director of the company.